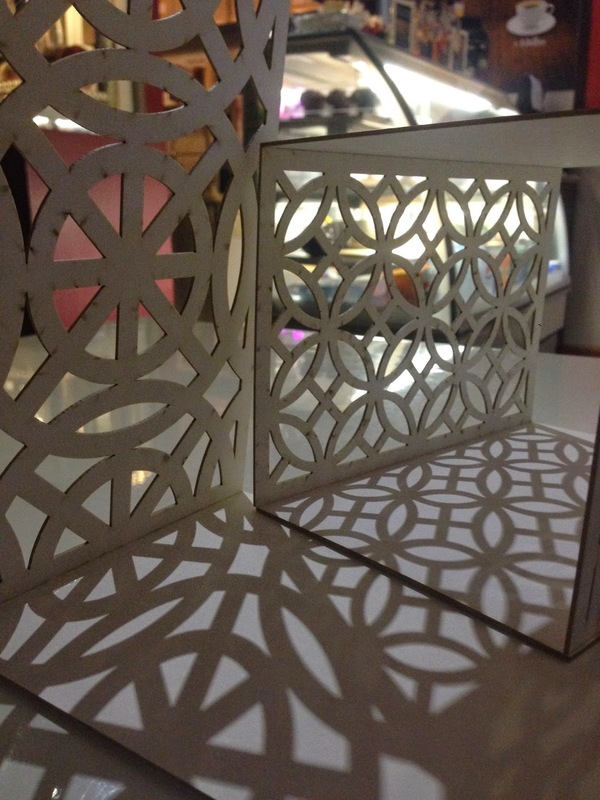 The artwork consists of a modular structure and minimalist sculpture, formed of two boxes that have different Islamic patterns on two sides and the shape of the boxes is cubic. 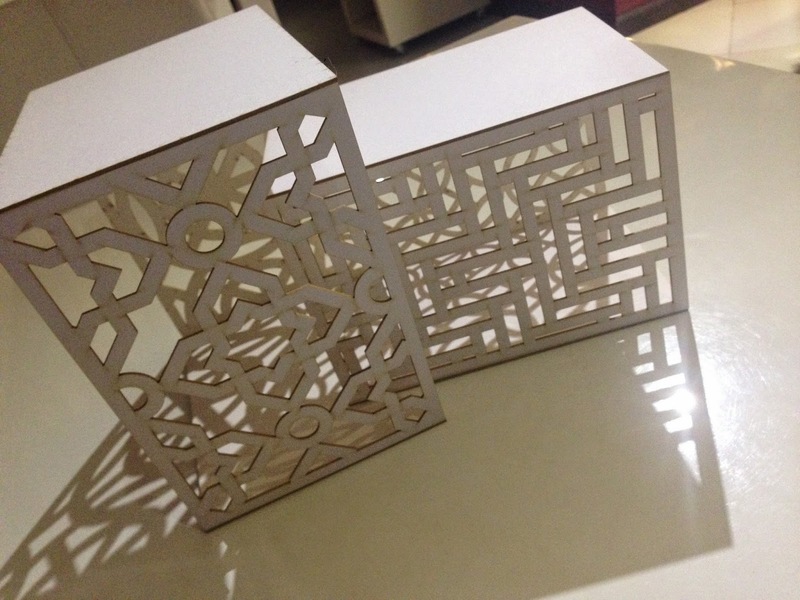 One of them is bigger than the other because when the smaller box fits within the biggest one, four Islamic patterns are thus created. Shadows mix when the position of boxes is changed. The style of this artwork is inspired by both traditional arabesque in Islamic Arts and contemporary artwork by Angela Bulloch, "activated light", connecting technology to the art making process. I do have the desire to engage the viewer directly in experiencing my work by expanding the perceptual field beyond the purely visual. I am a third year architecture student who loves my major!